Vadas – light and fluffy on the inside with a crisp exterior, packed with flavor, make for a perfect offering to Goddess Durga. 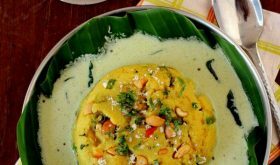 This Navratri special Vada recipe is basically a classic South Indian breakfast fare served with sambar and chutney. Make sure the Vadas are cooked to crispy perfection till a beautiful golden shade is achieved and always serve them warm. 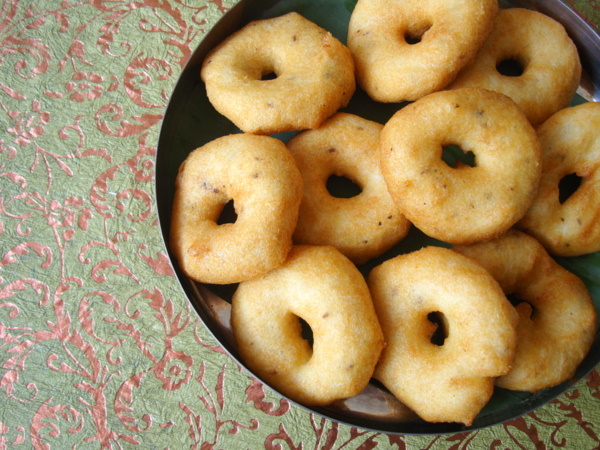 Its the crisp exterior that makes the Vadas unique and delightful to savor with hot sambar. 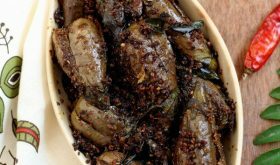 Don’t skimp on the pepper corns because there’s something irresistibly delightful about the role they play in these savory Vadas. You will love the pepper-y flavor in each bite of the crispy Vada. 1 Soak whole black gram dal in water for 1 1/2 to 2 hours. 2 Strain the water, and grind the dal to a paste sprinkling very little water. Use small portions of dal to grind batch wise as its easier to grind into a soft paste. Add salt, crushed cumin seeds and pepper corns and beat till fluffy. 3 Heat oil for deep frying in a heavy bottomed vessel and heat till piping hot. Reduce flame to medium. 4 Wet your hands with water, take a lemon-sized ball of batter and flatten it into a vada on a greased sheet or banana leaf. 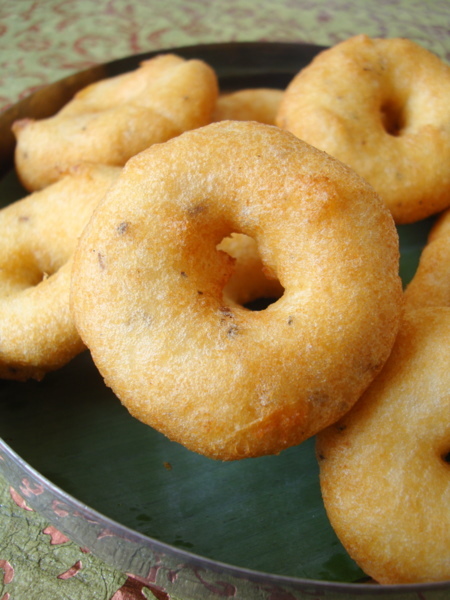 Make a hole in the centre of the vada so that it cooks evenly all over. 5 Slowly drop the vada into the hot oil and fry it on both sides on medium flame to a golden brown color. Deep fry 4-5 vadas per batch depending on the size of the vessel. 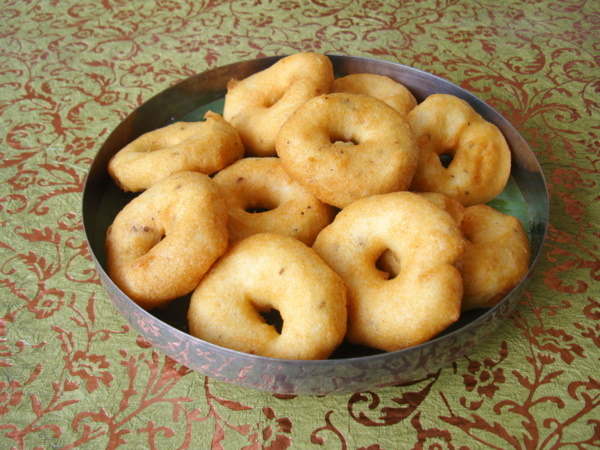 6 Remove the vadas onto a serving plate. 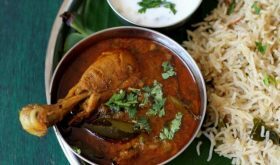 Serve warm while the crust is still crisp and serve warm with chutney and sambar. Those vadas look scrumptious and so irresistible! Super delicious vadas.. very tempting clicks.. Delicious crispy vadas looks super tempting..
What should be the consistency of the Vada batter?? Happy Navarathri to you and your family. Thank you for sharing all the festive specials, the pictures are wondeful. The back ground for this and sweet pongal is awesome. You have an eye for details. Very tempting..I wish, I could grab one vada off the screen. Did you use a wet grinder or a mixie for grinding the batter? Simply great snack… Thanks for this delight . 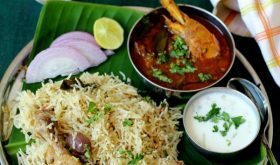 Also , it would be great if you can give tips on what can go wrong for each of these recipes. . To my knowledge , adding a table spoon of curd to the batter while grinding itself will get you very soft Vadas. 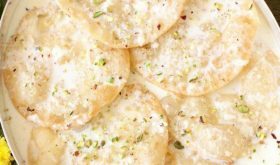 I have made these before but it was not as fluffy as the ones I had when I visited Bangalore and other parts of India. Does adding some soda bicarb make it more fluffy. Thanks for your wonderful recipes. Is’nt cooking soda required? i mean how do they get light & fluffy otherwise? I tried making the vadas today, but I am unable to make the shape as the batter was slightly watery. I had to add very little water while grinding. Any other tips to make the consistency little thicker? Will it help, if I add little urid powder to it? thank you. Thank you very much. Shall try this. Thanks for a great recipe. I tried this with whole skinned black udad daal. It came out good. But the color of the vada was not golden like yours. It was blackish due to the black skin. Do we take the split udad daal without skin? Yes, you have to use skinned white urad dal. Please…need to know. Do I have to use 1 cup of all 3 dal as stated, or just either one of the dal stated above ?